Make sure you and your bridesmaids walk down the aisle on your big day looking stylish and beautiful with a mobile wedding updo! Wedding updos have been a popular wedding hairstyle for years, but with a mobile wedding updo, your hairstylist comes to you on your big day to style your hair! With a mobile hairstylist, they come to you on your wedding day to create a beautiful wedding updo for you, as the bride, and your friends, the bridesmaids. This allows you more time to enjoy your big day without the extra stress and travel. 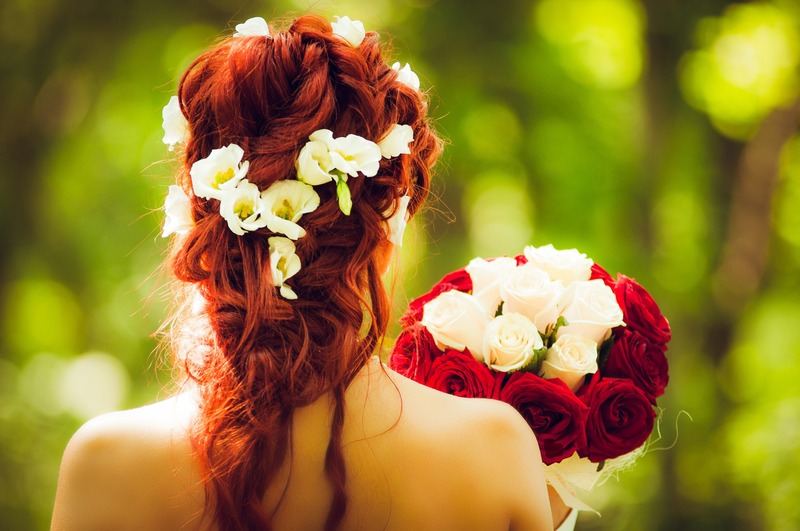 A mobile hairstylist ensures you are looking great right with a wedding updo, which allows your hair to look beautiful from the beginning to the end of your event. Wedding updos have weatherproof style that frames your face beautifully. With a traditional stylist, you are driving out of your way to a busy salon, sometimes early in the morning, to get you and your bridesmaids hair done. With a traditional salon, comes a busy and sometimes noisy atmosphere. Coming to the salon can also result with you and/or your bridesmaids waiting for each other to finish, which can take a while with wedding hairstyles. With a mobile hairstylist, your stylist comes to you, whether that be your home, church, venue or somewhere else. Your mobile stylist is able to spend the amount of time needed to style you and your bridesmaids’ hair with personalized services, in a place that is a comfortable and relaxed environment. Wedding updos have been a top hairstyle among brides and their bridesmaids for years. There are several variations of the wedding updo, depending on your length of hair, type of gown, and makeup. A wedding updo and a floor length gown are a traditional duo that brings out the beauty and grace of any bride’s look. Strapless dresses or gowns with detailed necklines match wonderfully with a loose curly updo and drop earrings! For those wearing pearls for their wedding, a sleek and chic updo looks wonderful with pearls in it! Another timeless updo is a beehive updo, which has been around for years. Wedding updos allow you to incorporate any type of veil in a beautiful way. For brides or bridesmaids with short hair, updos can be accomplished through adding temporary extensions to your hair. With extensions, you may not have a large bun or ponytail with your updo but you will have a beautifully chic updo style. Longer extensions can always be added to your hair to allow for a wedding updo with a bigger bun or ponytail, if you desire. Having a mobile wedding updo allows you to have your hairstylist there when you need them, for as long as you need them. They can perform stylish wedding updos of any style for you and/or your bridesmaids on your big day, without the noise of a salon, helping you stay relaxed while you spend time with your bridesmaids. Save the headache of traveling and waiting in a busy salon for everyone to get their hair done, by booking a mobile wedding updo for your upcoming wedding!